Short plug for our small contribution of a bespoke flip book animation as part of a curated series of artist flip books commissioned on behalf of Darlington Library service, County Durham. 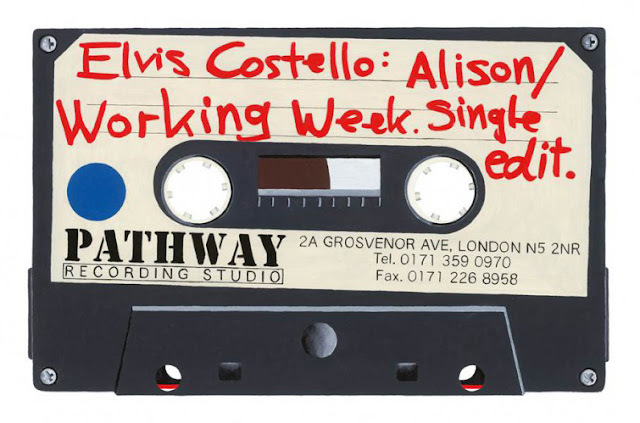 Just a pointer towards to work of Horace Panter and his supersized painting of a series of old C90 mixtapes. Outside of any cultural significance, they are just important historical analogue artefacts that deserve to be recorded in oils. The full details can be found at The Proud Activist. 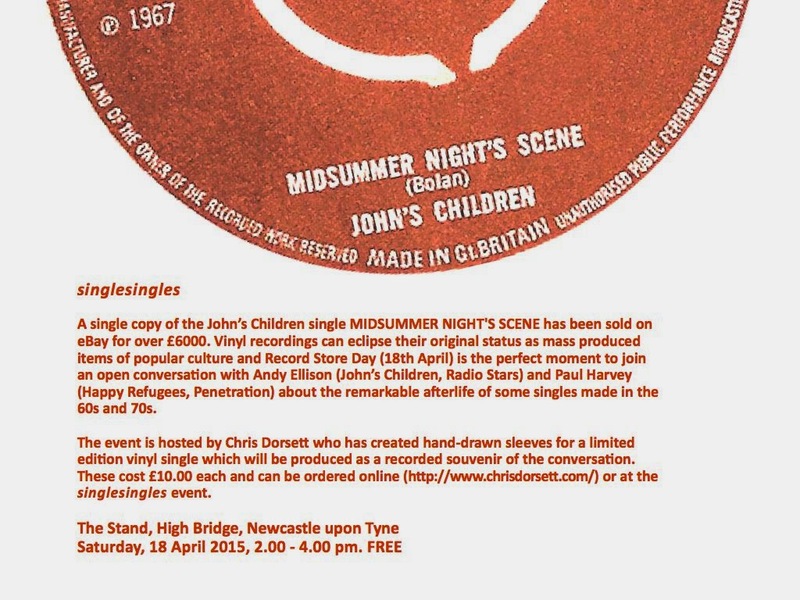 Local Newcastle event for Record Store Day ... the close relationship between music and art ... more information from Chris Dorsett. 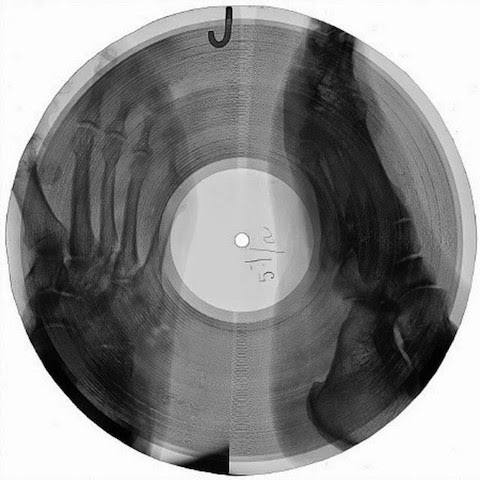 The soviet ban on western music had an interesting by-product in the 1950s when bootlegs were pressed onto discarded x-rays. The 'Roentgenizdat' or 'bone music' is arguably is an example where "... the format is completely integral to the listening experience" and where the imperfections and background noise add rather than detract from the experience. From an era when music wasn't ubiquitous it does question the value we place on music against the ease of availability and formats. 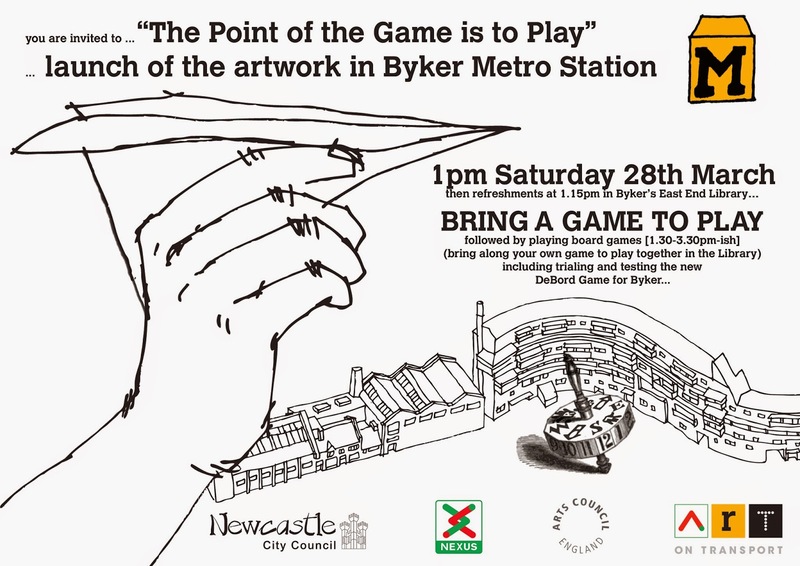 Currently included in "the curves in the needle' show at Baltic 39. and available for purchase here. Reference: Paphides, P (2015) "Bone Music". The Guardian G2 30th January pp10-11. 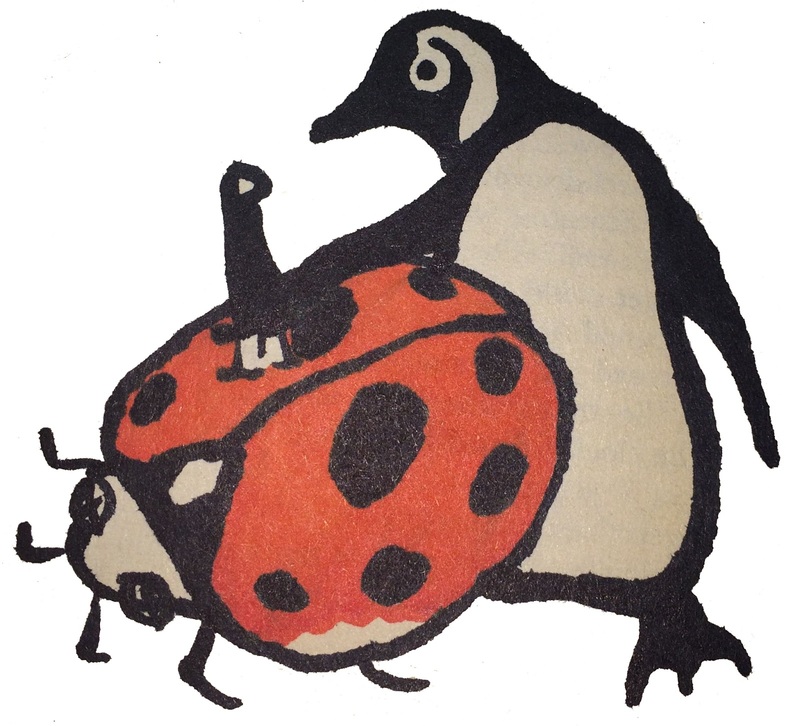 Milner, G (2009) Perfecting Sound Forever: The Story of Recorded Music (Granta, London). 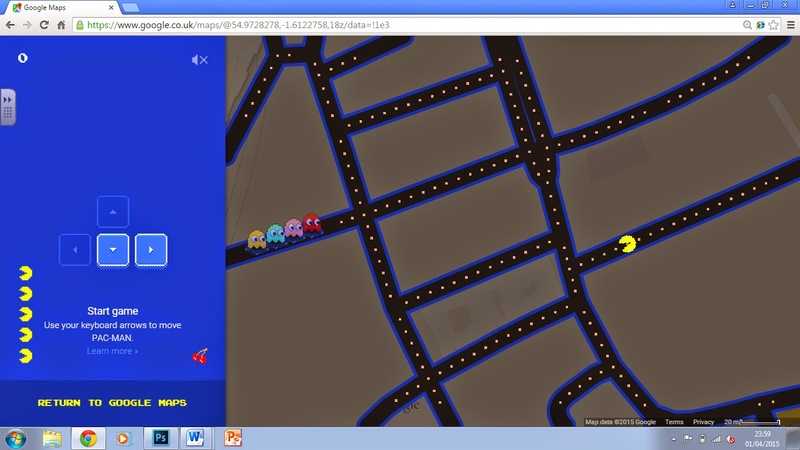 Just love the application of Pac Man technology to Google Earth. Just tested it out for Castle Terrace, Ashington and next to the office in Grey Street, Newcastle (top). 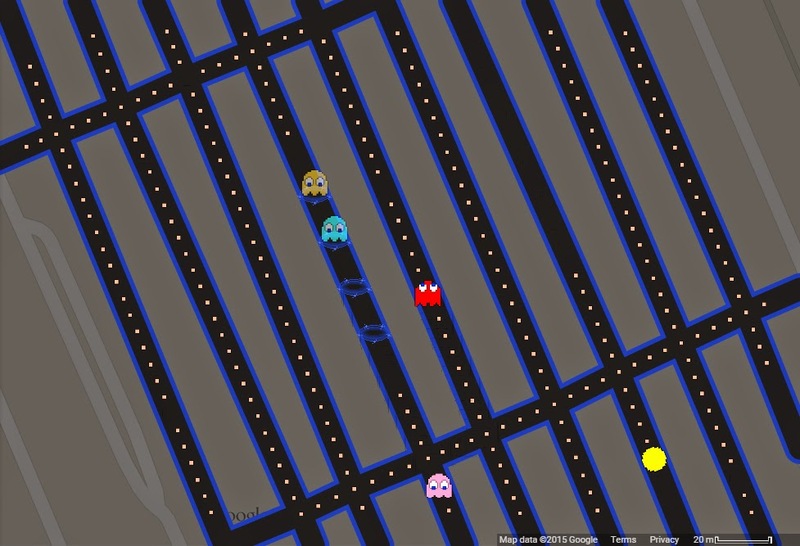 Reference: Ramaswamy, C (2015) "Pac-Man gets new playground - Google Maps". G2 2nd April p2. The rising popularity of Bitcoins seems to be challenging a few economists to look at the fundamental characteristics of money and its basic functions - specifically as a medium of exchange, unit of currency and store of value (Castronova 2014). With no real legal framework or limitations on the creation of private or local currencies, it is the case that these characteristics of ‘moneyness’ are seen in many examples of LETS (Local Economic Trading Systems) alongside store or business vouchers. As within the world of property, it is increasingly the case that these are also characteristics shared by where we live – homes being another form of investment that can hold value; to a greater or lesser degree outside of the control of government; and act as a framework for economic exchange. The idea of an asset-backed (note ‘asset’ rather than ‘currency’) joint ventures, partnerships and legal entities as the basis for development simply acknowledges this as an alternative to bank loans or institutional investors. Does it really matter then, if these ‘assets’ are digital or indeed community values that seem on the surface to be more intangible than hard currencies? Reference: Castronova, E (2014) Wildcat Currency: How the Virtual Money Revolution is Transforming the Economy (Yale University Press, New Haven).